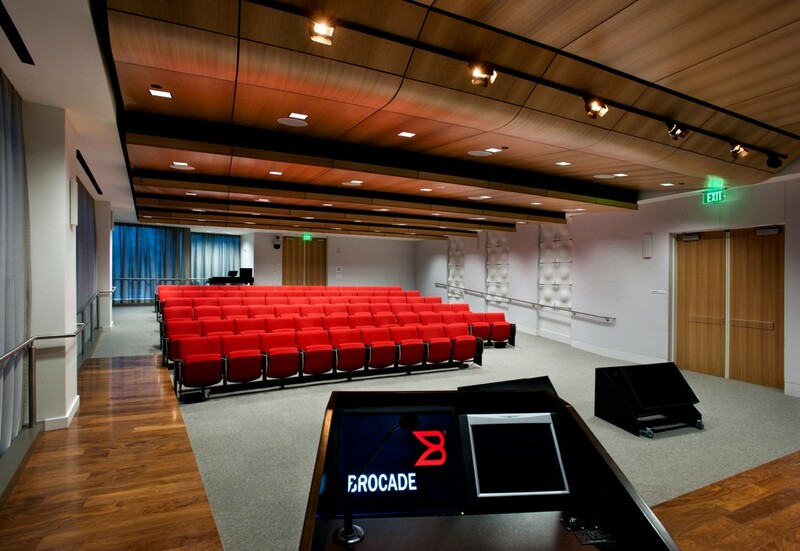 Brocade weaves flexibility, scalability, and energy efficiency into a high-tech workspace that supports interaction and collaboration. Consistently voted one of the best places to work, Brocade fosters an energetic workforce that drives growth. 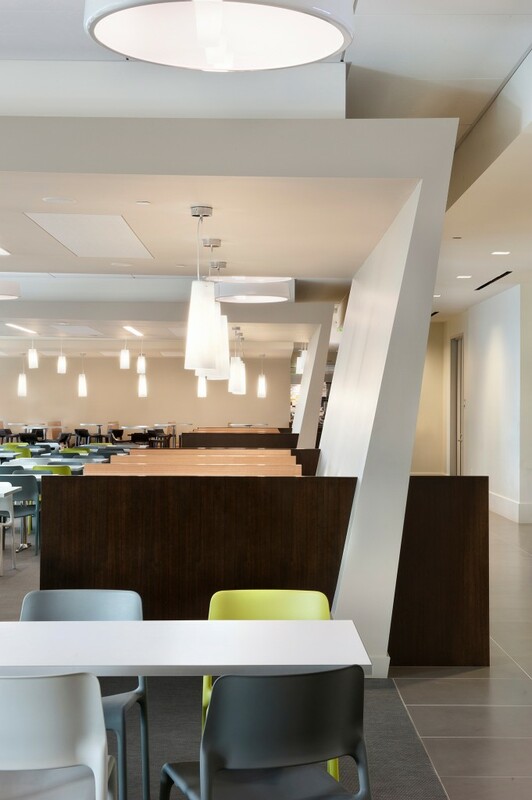 Consolidating into a new 560,000-square-foot campus in San Jose gave the company the chance to manifest the cornerstones of its culture. 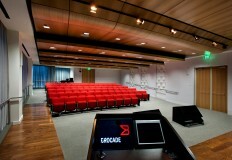 Two seven-story, 220,000-square-foot buildings house approximately 2,300 employees, and a four-story, 125,000-square-foot building holds Brocade’s back-up corporate data center. RMW provided interior architecture and tenant improvement services for the entire campus. Each 7-story building has a common area on its first floor, including the Bladerunner Café, Café Brocato, an auditorium, an executive briefing center, a fitness center, a game room, and large meeting rooms. 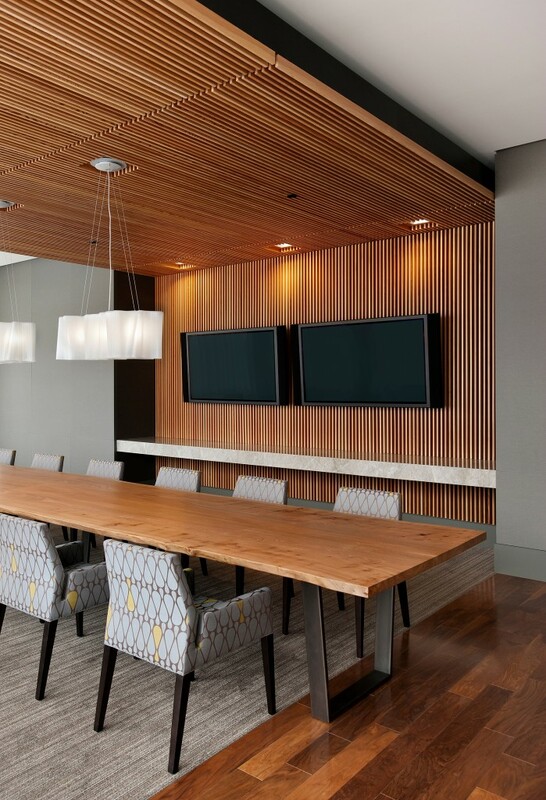 The office floors above are designed to be flexible for organizational changes and to maximize natural daylighting and views. 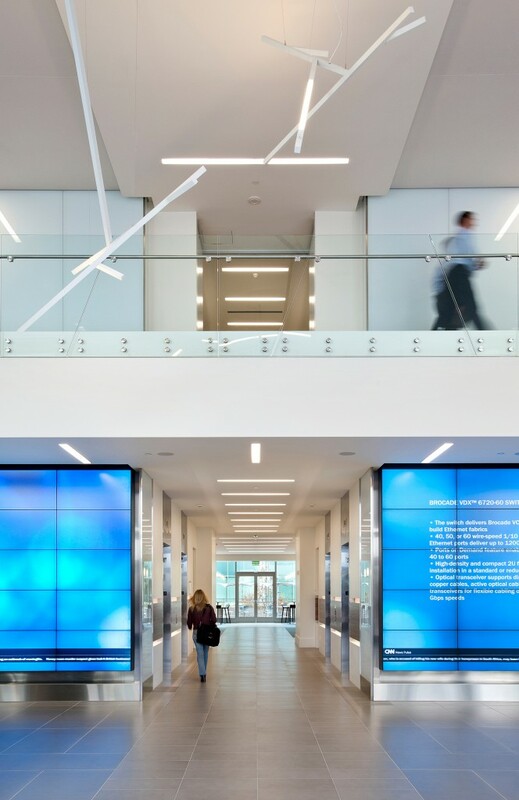 Embodying Brocade’s principles of flexibility, scalability, and energy efficiency, the new campus reflects large-scale, cost-effective, and environmentally friendly design. 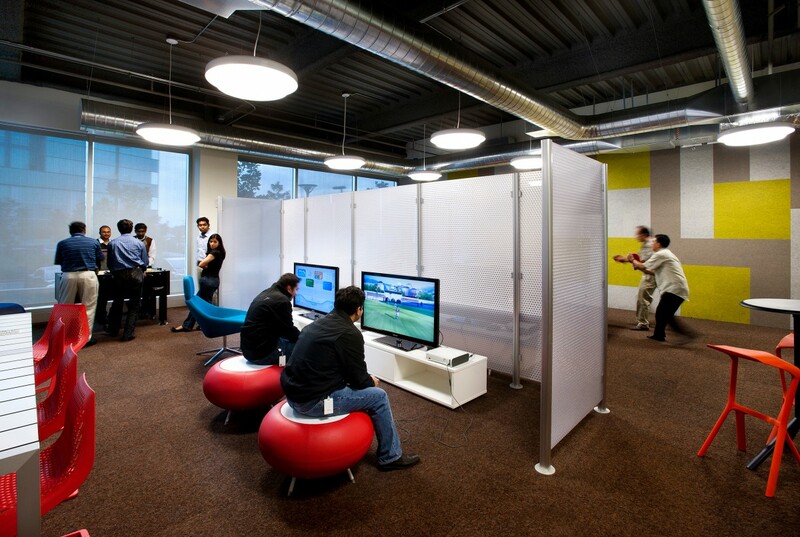 Workspaces are universal and lean, but numerous interaction spaces are sprinkled throughout. 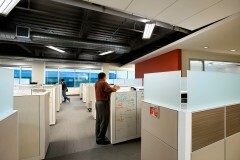 Zoning optimizes daylighting for interaction, and technology applications capture energy savings for data center needs. 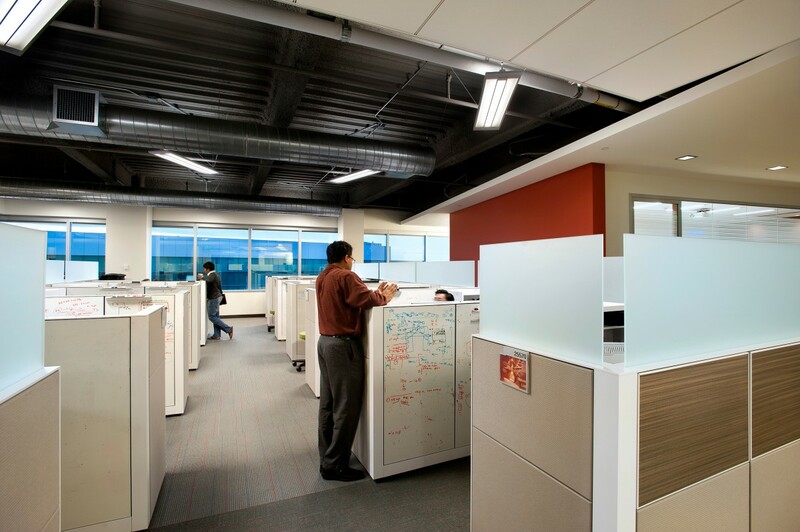 Innovative technology layouts in the data and solution centers minimized power use. 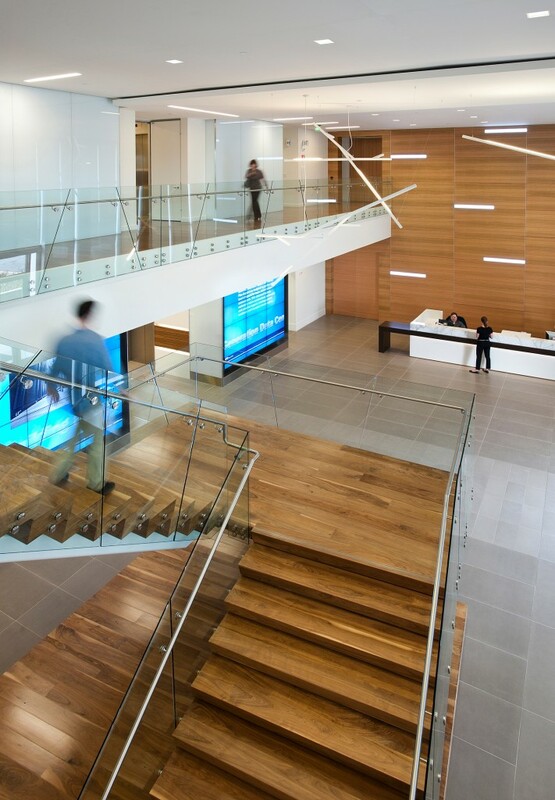 These strategies led to the project’s LEED Gold Commercial Interiors certification. 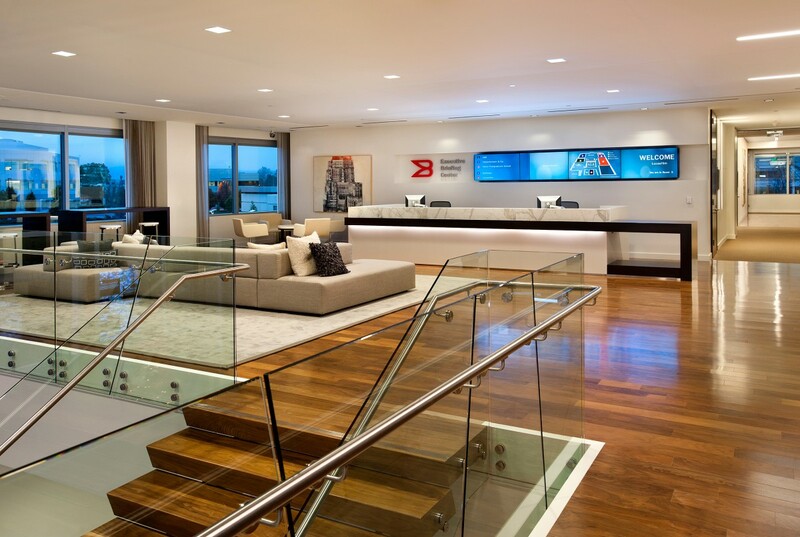 Brocade’s business is communication, and face-to-face time is key. Now it has the workplace to position its culture of innovation, efficiency, and communication for the next leap forward. 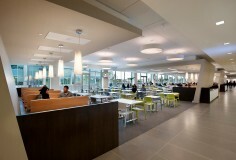 Award: 2011 Winner, IIDA Honor Awards, Notable Achievement, Work Big Category. Award: 2011 Winner, Ceramics of Italy Tile Design Competition, Commercial/Hospitality Category.